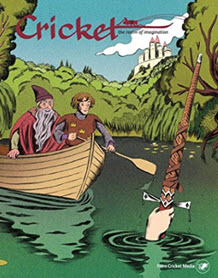 Description: Cricket is a literary magazine for children ages 9 to 14. It publishes original stories, poems, and articles for children and young adults. The content includes historical fiction, fantasy, true adventure, history, myths and legends, poems, puzzles, crafts and humor. It is published 9 times per year. Length: Most stories are 1200-1800 words in length but longer stories have been published serialized. How to Submit: Submit stories through Cricket Media's page on Submittable, which works with all of Cricket Media's publications and lists the publisher's active literary submission calls. Response Time: up to 3–6 months response time.